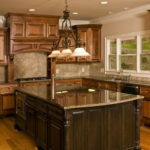 Welcome to our gallery featuring Delicatus granite countertops kitchen design ideas. One of the famous granite color from the white stone family. You can see many similarity with rest of the white granite colors. 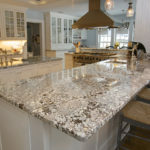 Delicatus granite is a stunning stone which is famous for it is rare white background and dark patterns. It is from Brazil and does not have any other common names. This stone has a white bedrock which is on demand now. 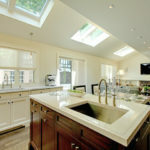 White countertops are popular among the home owners. 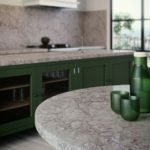 Delicatus is such a unique stone which can create contrast even with white cabinets. 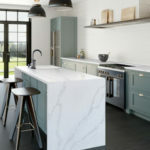 Usually white lovers interested this stone because, it has enough dark spots to create contrast with any white cabinetry. I do not think that it is not going to give same effect when it combined dark cabinets. 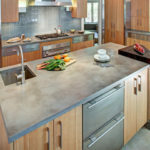 This is a one of a kind stone which makes a statement any kitchen it belongs to. 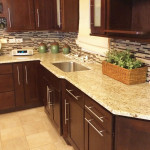 We believe that most of the home owners are highly engaged to put this beautiful granite in their kitchen. 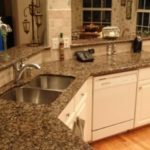 So, when we give them advises about the all the other related color options, their respond is to go with Delicatus granite. 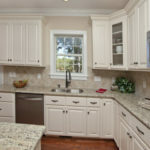 Most of the kitchen design featuring white cabinets with a compromising countertop options. This stone has it all. 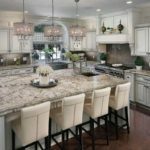 Delicatus is such a beautiful stone which is good usually with white color cabinets and dark hardwood floor for kitchen remodeling. On the other hand, backsplash is from anywhere white to cream color. One of the best thing about this stone is the character of itself. 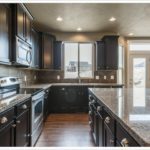 Stunning kitchen with Delicatus granite and white cabinets. The cabinets are linen with mist glaze. 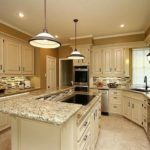 The kitchen paint color is gray with eggshell finish. 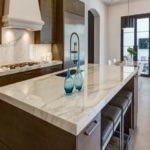 The backsplash is marble collection in color. 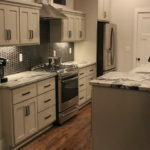 Indeed, the kitchen completed with recess lights, pendant lights, and stainless steel appliances. Details are perfect. 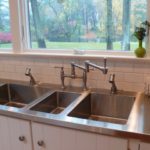 The sink is constructed as a farm sink look. 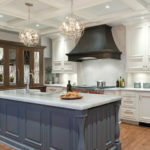 Beautiful kitchen has a biscuit color subway tiles, but has a bit of a wave in it to have a handmade look. The cabinets are off-white color and granite is Delicatus. 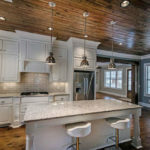 The kitchen also featured with 10′ high ceiling with a nice pendant lights and stainless steel appliances. Modern light oak color floors and striped fabric covered bar stools around the island overhang. 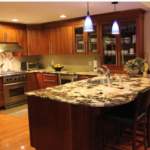 Beautiful kitchen with Delicatus granite countertop and white cabinets. 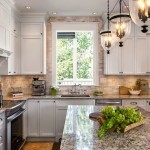 Therefore, backsplash is an off white color, natural travertine subway tile. Kitchen has a pre-finished engineered floor in a walnut stain. Moreover, backsplash is a 3×6 tumbled travertine subway tile and went very well this color combination. 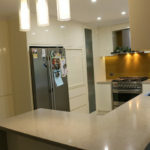 Kitchen design allows effective working area with a lot of counter space. 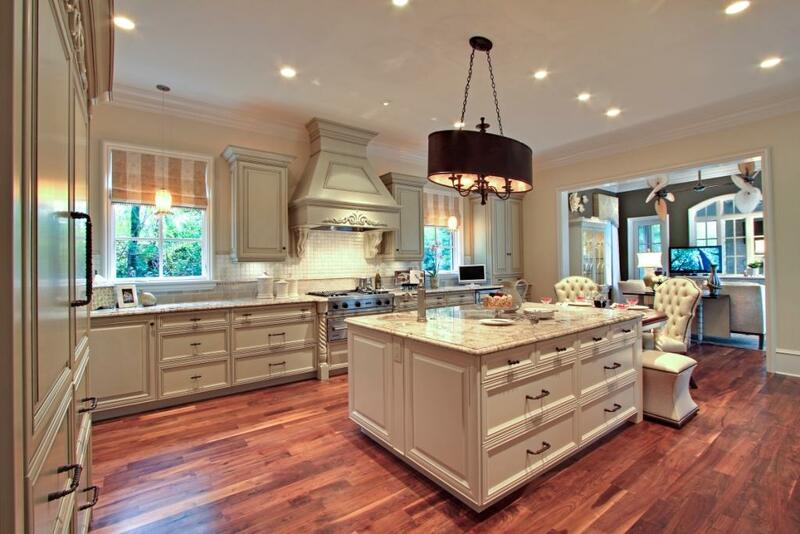 This amazing kitchen floor is Brazilian cherry with a dark custom stained and features with creamy color cabinets. 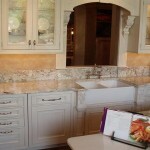 Besides, backsplash is 4X4 travertine tiles made a very good combination with Delicatus granite. 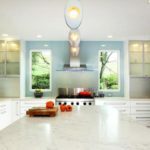 Finally, one of the Delicatus granite countertops design ideas is to keep the flow goes from bottom to the top like in this kitchen. 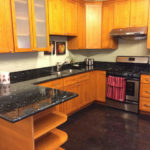 Simple kitchen is with cherry hardwood floor and white cabinets.